Reduces levels of ‘bad’ (LDL) cholesterol and increases those of ‘good’ (HDL) cholesterol. Our dietary supplement Red Yeast Rice Extract is obtained by drying and crushing a microscopic red yeast called Monascus purpureus, grown on fermented rice. Much-prized in China, this product is now sold across the world in dietary supplement form, offering the opportunity to benefit from the many attributes of this species of yeast. Red yeast rice has been grown in China for many years. It is widely used in Asia as a natural food colourant for certain dishes, or to add flavour, and is also included in the Chinese pharmacopoeia for its health benefits. The therapeutic potential of red yeast rice extract has a long history, with records documenting its medical use as long ago as the Ming dynasty (1368-1644). In traditional Chinese medicine, red yeast rice is recommended for promoting good circulation and for relieving gastrointestinal problems such as indigestion and diarrhoea. As a result, red yeast rice has been the subject of a number of scientific studies in recent years. Scientists have shown it has a very specific composition, affording it several health benefits, particularly for the cardiovascular system. Red yeast rice’s health benefits are thus due to its composition, which is particularly characterised by its content in monacolins. These substances act as inhibitors of HMG-CoA reductase, an enzyme which regulates cholesterol production in the liver. They are thus considered natural statins, molecules used to treat hypercholesterolaemia - high levels of cholesterol in the blood. To prevent the accumulation of cholesterol in the body, a number of laboratories have developed synthetic statins such as lovastatin. As a natural source of statins, red yeast rice would thus seem to be a desirable alternative. One of its constituents, monacolin K, is actually chemically identical to lovastatin. Red yeast rice also contains others compounds beneficial to cardiovascular health such as sterols (beta-sitosterol, campesterol, stigmasterol and sapogenin), isoflavones and monounsaturated fatty acids. 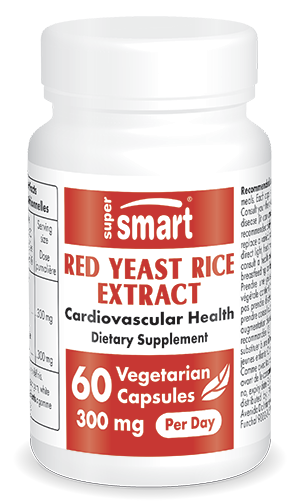 In addition to its traditionally-recognised benefits for improving circulation and digestion, red yeast rice has a positive effect on the lipid profile. Due to its monacolin content, the yeast has been used for more than a decade for controlling hypercholesterolaemia and dyslipidaemia. A number of scientific studies have found it restricts the biosynthesis of cholesterol. Supplementation with the yeast lowers levels of triglycerides and ‘bad’ LDL-cholesterol, and raises levels of ‘good’ HDL-cholesterol. These positive effects on the lipid profile also help prevent certain cardiovascular problems. As a result, red yeast rice is sometimes recommended for patients at risk of stroke. This product from the Chinese pharmacopoeia is also suggested as a natural alternative for patients suffering muscle pain as a side-effect of synthetic statins. With its unique composition of natural statins, our nutritional supplement Red Yeast Rice Extract represents an effective option for combatting ‘bad’ cholesterol and hypercholesterolaemia. The effect of these natural statins helps prevent the development of, amongst others, cardiovascular disease. To optimise this product’s benefits, it is formulated in capsules, each containing 125mg of red yeast rice extract, standardised to 2% monacolins, to provide a beneficial intake of natural statins. This formulation means the recommended dose is one capsule twice a day, to be taken with the two main meals of the day. As there are certain contraindications for this product, particularly for those suffering from liver disease, it is advisable to consult your therapist or doctor before beginning supplementation with red yeast rice extract. HMG-CoA reductase inhibitors generally lower production of CoQ10. 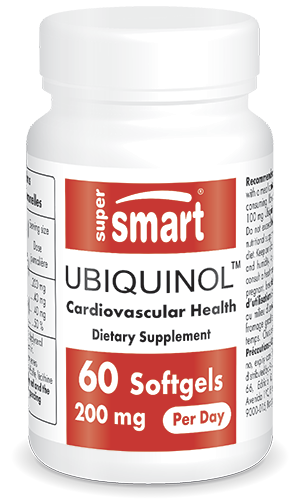 It is therefore a good idea to take a supplement of CoQ10 or its reduced form, ubiquinol, alongside Red Yeast Rice Extract. 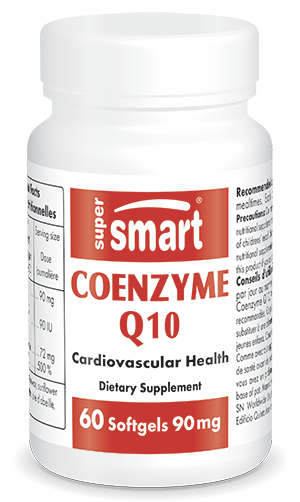 CoQ10 is an antioxidant which plays a particularly important role in protecting mitochondria and cell membranes from free radical damage. Adults : take one capsule with each of your two main meals, or follow the advice of your therapist.